ECOMM CURRENT OPENINGS: Opening for Back Office Coordinator in FMCG CO. 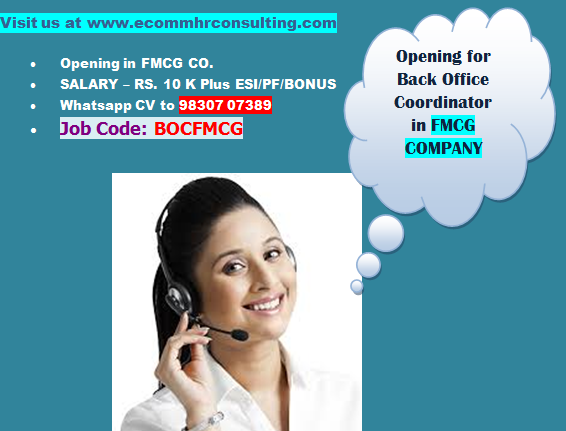 Opening for Back Office Coordinator in FMCG CO.
COMMUNICATION : English, Hindi and Bengali. Ice Cream Parlors for Food Ingredients. Follow up for payments over phone. Age in between 26 years to 35 years. Should Possess a presentable personality.